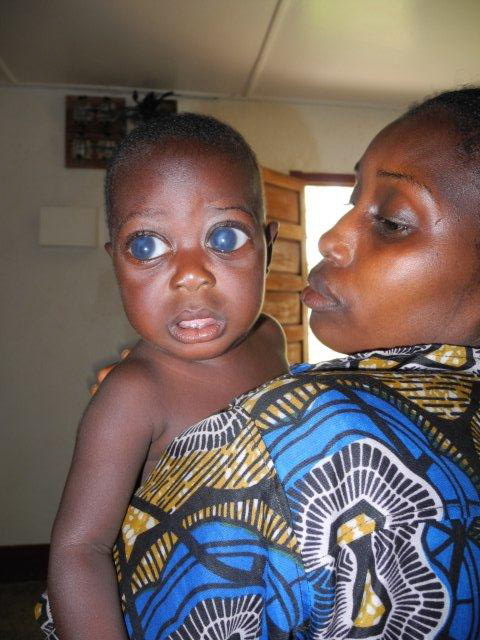 As soon as he was born, they knew that he had a problem with his eyes. Bokota’s eyes bulged like a goldfish. They looked like they were about to burst any minute. All day, they darted from side to side at the speed of lightning. As the months went by, they also came to know that he was not like the other children. He did not seem to be as alert, responsive or ‘nosey’ as the other babies in the village. They longed for help, but the only potential help would be in the capital, which was out of their reach. Firstly, there were no roads to the capital. Secondly, even if they could beg and borrow from their family, they would not be able to afford the travelling costs, never mind the astronomical medical fees. They felt trapped and helpless. Every time they looked at their son’s sweet face, they wondered if he could see and worried that he never would. Every day, that dark fear hung over them like a thick black cloud. One day, they received a message from their uncle in Impfondo that a couple had arrived from abroad and had opened the first non-profit eye surgical centre. Immediately, they did everything they could to raise enough money to set off on their journey. As they carried Bokota along the dirt roads under the scorching sun, they dared not dwell on that flicker of hope lest they extinguish it somehow. 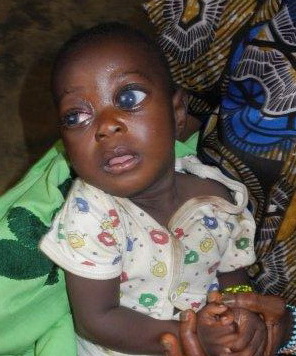 When they arrived at New Sight Eye Centre, they met Henri. He told them that Bokota suffered from congenital glaucoma in both eyes. Sadly, Bokota might already have irreversible visual loss. Still, he explained that it would be worthwhile to operate on him to try save whatever vision he might still have. 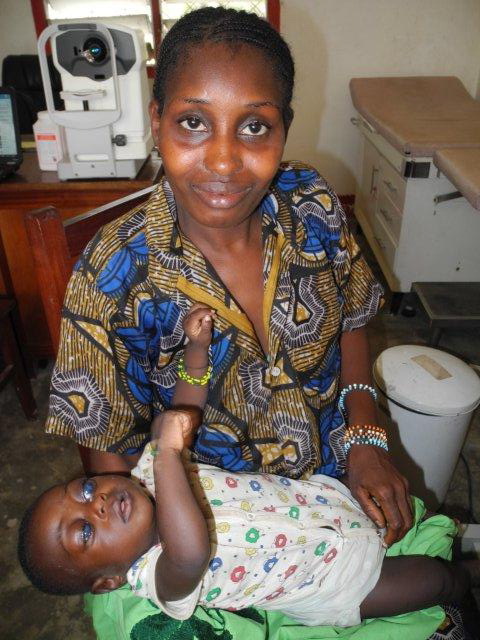 As Bokota’s family could not afford to send him abroad to a paediatric specialist eye centre, Henri promised that by God’s grace, he would do his best. He planned to operate on the right eye first and then the left one at later date. On 4 February 2013, his parents were very quiet. Worry was written all over his mother, whilst his father tried his best to contain his nerves. With hands shaking, they gently laid him on the operating table, not at all sure if he could see what was in fact happening. The surgery went well. Everyone was relieved that little Bokota tolerated the anaesthetic and the operation well. 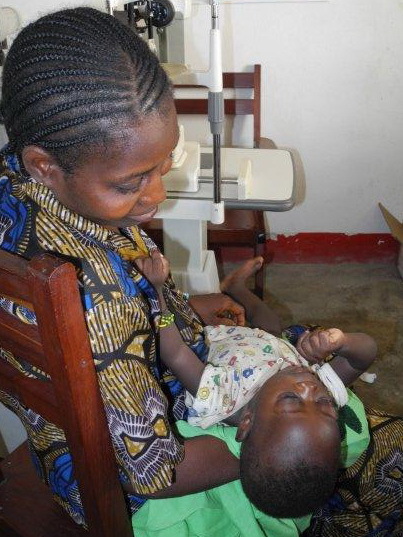 Henri had warned them before the surgery that as it was hard to test vision in babies, it might be several months before they would know how successful the surgery was. So when morning came and Henri started removing Bokota’s eye pad, they did not expect any great change. They were encouraged to see that the right eye that was operated on certainly looked much more ‘normal’ now. A few minutes later, Bokota started looking around the consultation room. To his parents’ great surprise, for the first time in his life, he seemed to be taking things in! Could it be that he could see better now? No-one knew. No-one could be sure. Then the most incredible thing happened! Bokota stretched his arms to give a yawn. Suddenly, he stopped his arm in mid air. His eyes seemed to be looking straight at his arm. He shook his fist and suddenly, his whole body moved ethusiastically. He stopped moving his arm. He became very still. Moments later, he shook his fist again and immediately, his whole body responded excitedly once again! He repeated this several times. It was as if when his hand moved, he could see it moving and was ecstatic by this most amazing discovery! By now, his mother was smiling. She didn’t really know what she felt. She thought that perhaps she was finally allowing herself to feel something that she had almost forgotten. This thing was called hope. Two months later, they were once again carrying Bokota on the same dirt road, under the same scorching sun. This time, his eyes were not protruding. This time, he was busy looking around. This time, their steps were lighter. This time, when they arrived at the eye centre, they broke into a wide smile as they saw Henri. They told Henri that since Bokota had both his eyes operated, he was like a different child. He was eating better. He was much more energetic. He started to ‘play non-stop’ and to get into everything. ‘Like a boy,’ the mother quietly and proudly announced. His father interrupted her in high spirits, ‘Yes, like a boy! Like a boy!’ It was still early days, but for now, Henri enjoyed Bokota looking into his eyes.